This item has no attached images. If end results are all that count, then this week’s reviews could be prime examples of an evergreen franchise versus one succumbing to franchise fatigue. Of course Naruto’s lengthy history has seen the series flag on more than one occasion, but to date the last feature film made, Boruto: Naruto the Movie could very well be the best of the lot. It takes the story forward to the next generation, introducing Naruto’s son and his friends, as they try to make their mark in the Hidden Leaf village as young ninja. So far, so typical, but what makes this film so appealing to broad audiences is the focus on the difficult relationships between parents and their children, which is something everyone can relate to. In comparison, this is far less of a franchise, merely comprising a 26 episode first series, a 13 episode second series, and this 8 episode Little Busters EX OVA series. But for its swansong, the show fails to hit even the mediocre heights of its parent series. The problem is a familiar one, in that Little Busters and Little Busters Refrain managed to tell the whole story in their runtime, and all that’s left to play with now are the side stories, the odd diversions that add colour to the narrative, but don’t actually add much in the way of story. It all boils down to how good the individual stories here are, and unfortunately Little Busters EX takes a good while to get going. Vampire Princess Miyu. Back to the old school, or rather back to one of the first anime I reviewed for this site, over thirteen years ago now. It was old even then, as MVM first released it seven years after it was broadcast, and they released it in single volume format. That’s an indication of how anime used to be once upon a time, slowly drip-feeding its way around the world, instead of the mass market deluge that we get now, less than a year after broadcast in some cases. The show kicks off with a rather simple, monster of the week format, with the eponymous vampire princess appointed as a guardian, her duty to rid the world of demons, Shinma that she sends back to the darkness with her mystical flame. It’s simple, repetitive, and really not quite good at first. You hardly notice the character development, Miyu’s friends in school, a rival hunter of Shinma named Reiha, Miyu’s bodyguard Larva. Then towards the end of the run, all of this back-story comes into play with one of the better story climaxes in anime. 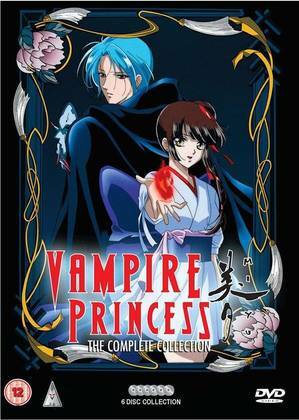 If you like old-school animation, and old-school storytelling then Vampire Princess Miyu is well worth a shot. MVM initially released it in single volumes, but a few years back they regained the licence and issued a complete series collection, which I took a look at in this review. It’s still available to buy if you are interested. 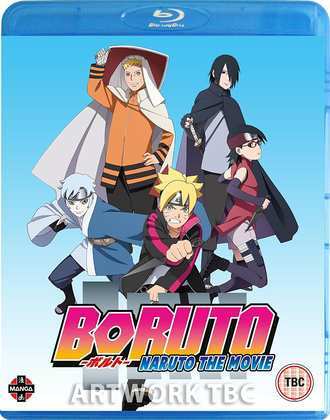 Boruto the Movie comes out on DVD and Blu-ray from Manga Entertainment today. 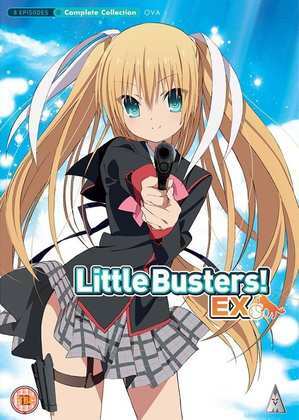 MVM will release Little Busters EX on DVD and on Blu-ray on June 19th.